This section outlines members’ legal entitlements under Irish employment law. These are legal minimums and, in very many cases, Fórsa has negotiated superior entitlements in local or national agreements. The information in this section is intended for guidance only and it is not a complete or authoritative statement of the law. You can get more information from the Workplace Relations Commission or Citizens Information. The purpose of this section is to provide information to Fórsa branches and members. It is not intended as a complete or authoritative statement of the law. Details of the Organisation of Working Time Act 1997, click for details. The Carer’s Leave Act 2001, entitles employees to unpaid leave to enable them to personally provide full-time care and attention for a person who is in need of such care. Click here for more details. Details of new rules on data protection. The Payment of Wages Act 1991, provides that, with every wage packet, every employee has the right to a written statement of their pay and deductions. Specific disciplinary procedures are not set down in law. Most medium and large employments have procedures that have been agreed with Fórsa and other unions. The Employment Equality Acts 1998-2015 promotes equality and outlaws discrimination at work. 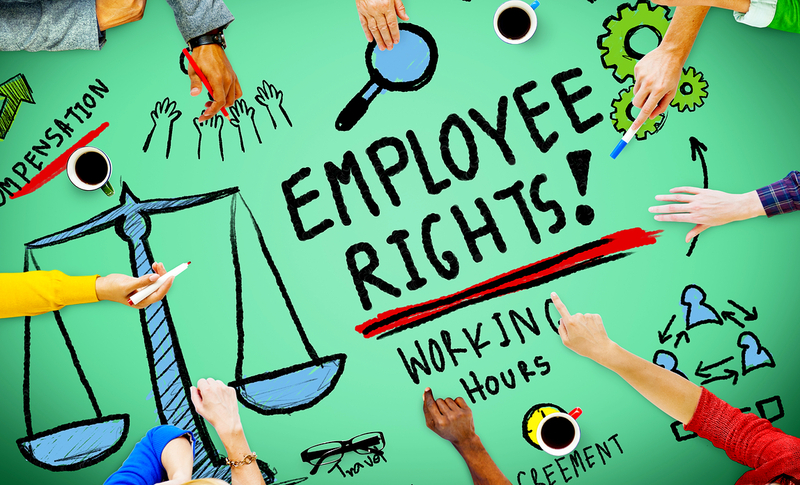 The Protection of Employees (Fixed-Term Work) Act 2003, outlaws discrimination against staff on fixed-term contracts unless there are ‘objective grounds’ for variations in pay and conditions. Grievance procedures are not set down in law. Most medium and large employments have procedures that have been agreed with Fórsa and other unions. The Safety, Health and Welfare at Work Act 2005, sets out legislative protection in safety, health and welfare matters in all places of work. The Organisation of Working Time Act 1997, sets out minimum legal entitlements to paid leave. The Maternity Protection Acts 1994 and 2004 apply to employees who are pregnant, have recently given birth, or who are breast feeding. The National Minimum Wage Act 2000, and the National Minimum Wage Order 2017 provides that from the 1 January 2018, an experienced adult worker must be paid an average hourly rate of €9.55. From 8th March 2013 parental leave increased from 14 to 18 weeks. The Protection of Employees (Part-Time Work) Act 2001, says that part-time employees, cannot be treated in a less favourable manner than a comparable full-time employee in relation to conditions of employment. The Paternity Leave and Benefit Act 2016 entitles new parents (other than the mother of a child) to two weeks’ paternity leave following the birth or adoption of a child born or adopted after 1st September 2016. The Organisation of Working Time Act 1997, provides for nine public holidays. The Redundancy payments Acts 1967-2007 set out minimum statutory redundancy payments for workers aged 16 or over who have been made redundant and have 104 weeks’ continuous service with their employer. Smoking is outlawed in most enclosed places of work.